WATER®, a MOARC publication and a registered trademark, is the newsletter of the Missouri and Associated Rivers Coalition (MOARC). WATER® provides timely updates on matters of importance to the MOARC membership and stakeholders. MOARC Waterdrops supplement the MOARC published newsletter – WATER®, a registered trademark to provide timely updates on matters of importance to the MOARC membership. ASA-CW Directs Full Federal Funding for Kansas Citys Levees! On 17 January 2019 the Assistant Secretary of the Army for Civil Works (ASA-CW), Mr. RD James, directed the US Army Corps of Engineers (Corps) to address the Kansas Citys Levees as a single on-going construction project to be fully federally funded under the provisions of Public Law 115–123, enacted February 9, 2018, as the Bipartisan Budget Act of 2018, and including Supplemental Appropriations related to disaster relief. This policy clarification by Mr. James comes after years of advocacy and perseverance by MOARC, KCIC, KCMO and the Unified Government of Wyandotte County and Kansas City, Kansas to correct the misinterpretation that Phase 1 and Phase 2 were to be treated as separate independent projects, as opposed to a comprehensive levee system. The project was envisioned and developed as a system improvement of the nearly 60-miles of seven levees providing protection to over $20 billion in investments, 94,000 workers, and 20,000 residents. 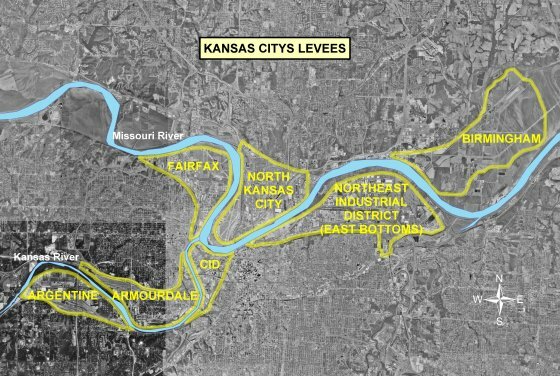 The ASA’s policy clarification fully recognizes the KC Levees system approach and the Phase 1 and 2 improvements as on-going construction activities for the project. Lacking this clarifying directive meant only the remainder of Phase 1 would be fully federally funded—Phase 2 improvements would be subject to the typical project cost sharing (65% Federal / 35% Local). Perseverance pays off! 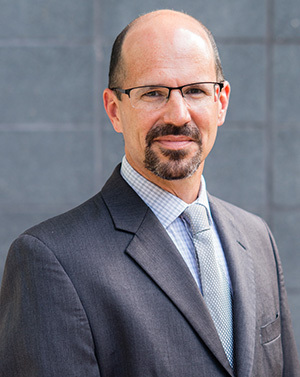 MOARC has been working with the Corps and Congress since before the initial project authorization of Phase 1 in 2007 to ensure an on-going system approach for the two project phases—first seeking modification of the Phase 1 authority to add Phase 2, and then when Phase 2 was separately authorized, seeking to have those authorities combined. All the while, the Corps Headquarters continued to address these levee system improvements as two distinct projects impeding project implementation despite the continued rationale for and documentation of the agreed upon Corps and local sponsors project vision and approach—a system-wide levee improvement. With Supplemental Appropriations related to disaster relief being made available, MOARC recognized there was an opportunity for the remainder of the KC Levees project (both Phases 1 and 2) to be fully federal funded! And, we got to work!! With MOARC’s deep understanding of Corps process and policy, together with our strong federal network, we were able to quickly determine the Corps would treat Phase 2 as a separate, rather than ongoing project. Meaning that, even though federal funds of $453 million were identified for KC Levees, there would still be required a 35% local match for Phase 2. 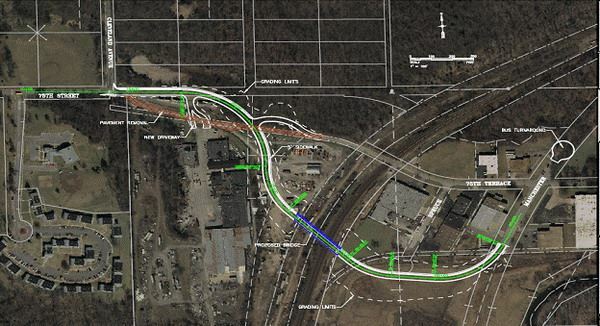 Only by having the KC Levees Project (Phase 1 and 2) considered as one project would allow for full federal funding of the remainder of the project to be realized. MOARC began working with members of Congress from Missouri and Kansas, as well as relevant congressional committees, to get the necessary clarification in the Water Resources Development Act (WRDA) of 2018. With much appreciated support from Representative Sam Graves (R-MO) WRDA 2018 addressed this specific issue, but the language was not a clear enough directive for the Corps to treat the 2 phases as part of one project. Recognizing this, MOARC continued to work with several of our congressional members to get this resolved. The entire Kansas and Missouri delegation were supportive throughout, and some were able to be especially helpful—Senator Jerry Moran (R-KS) inclusion of further clarifying language in the Senate WRDA 2018 explanatory statement. In addition, Senator Moran’s ongoing contact with the ASA-CW’s office helped to ensure the KC Levees language was implemented. In response to MOARC’s informed messaging and with coordination of the local governments, the congressional offices worked with the Senate Energy and Public Works (EPW) Committee to clarify Congress’s desired intent. Letters and calls from our congressional offices and the EPW Committee to the Administration set the stage for policy review by the Assistant Secretary of the Army-Civil Works (ASA-CW). 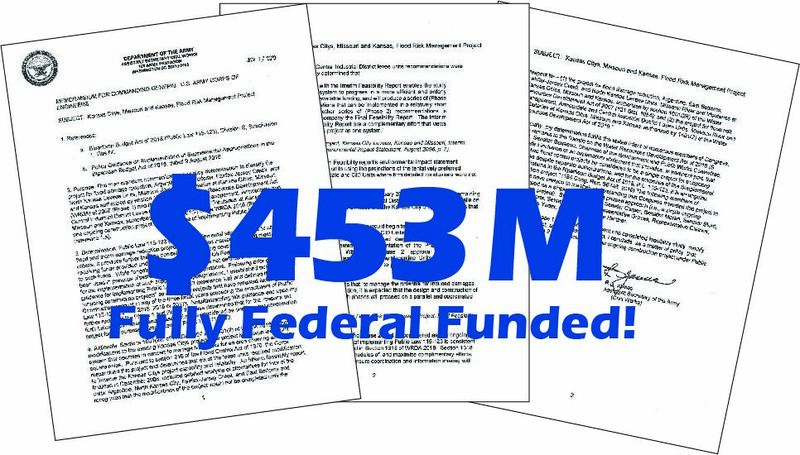 Based on that review, the ASA-CW made the policy determination that Kansas Citys Levees is be treated as a single on-going project and directed the Corps to budget the project as on-going construction under the provisions and policies for the supplemental appropriations. Hard work, Advocacy and Perseverance paid off as the Corps begins to move forward with the local sponsors to sign a new Project Partnership Agreement (PPA) that will provide full federal funding of the project through completion of the remaining design and construction of the KC Levees project. Without help, hard work and diligent pursuit, we could not have achieved this most desirable outcome. MOARC offers ongoing and sincere appreciation to our members of Congress and the congressional committees that worked to help achieve this success! To the Assistant Secretary of the Army–Civil Works, the Honorable R.D. James, and his extraordinary staff, we extend our special thanks in gratitude for what this means to KC! ARE YOU A MOARC MEMBER? You should be!!! — And MOARC needs you! MOARC is currently in its 2019 membership drive and is reaching out to current and former members to renew or rejoin, and we’re also looking for new members from across our region. MOARC is a volunteer non-profit, created in 1952 to promote more beneficial use of water resources in the Missouri, Kansas and Arkansas River basins after the disastrous 1951 flood. For more than six decades MOARC has been key in helping members meet project needs for their community, and also works to inform policy impacting our region and members’ interests. We have a long and successful history of putting stakeholders together with policy-makers to help achieve tremendous success, including many reservoirs and local flood control projects. Today, our membership consists of local governments, utilities, associations, businesses, and even some individuals, promoting navigation, flood control, electric power, irrigation, recreation, fish & wildlife, the environment, conservation and the beneficial use of land and water resources within the Missouri and associated river basins. We strive to be the leading regional voice for water and water related land resource project, policy and programmatic issues. To remain effective in that role, we seek to expand our membership both geographically and by interest areas: Flood Control & Risk Management, Water Quality & Supply, Power, Environment, Agriculture, Shipping & Ports and Recreation. The MOARC Board approved a revised dues schedule outlining a new class of memberships for communities, businesses, associations, councils, other entities or individuals. Within each class of MOARC membership listed below there are three suggested contribution levels to assure the right fit for your community, organization or other membership type. Supporting Members, for entities or individuals with a vision toward river basins managed for the benefit of people, the environment and the economy. The membership levels within each type are structured to provide a variety of membership benefits, such as: committee participation, Board service, Congressional/Agency visits, or receiving regular communications through MOARC’s weekly WATERdrops and quarterly newsletter, Water®. So, why be a MOARC member? No matter what you do, if it’s related to water, then MOARC’s for you! Our involvement and integrated approach to various, and sometimes diverse, aspects of water resources management means what we do, is important and likely to be valued by you. Your membership and participation are needed for us to continue with our effective advocacy. We also host events and have activities to encourage interaction among our members and with State, Federal agencies and elected officials. Are you interested in or wanting to work on water resource issues? If so, you’ll want to be a member and participant of MOARC. Now is the time to renew membership and continue your support or join anew!! 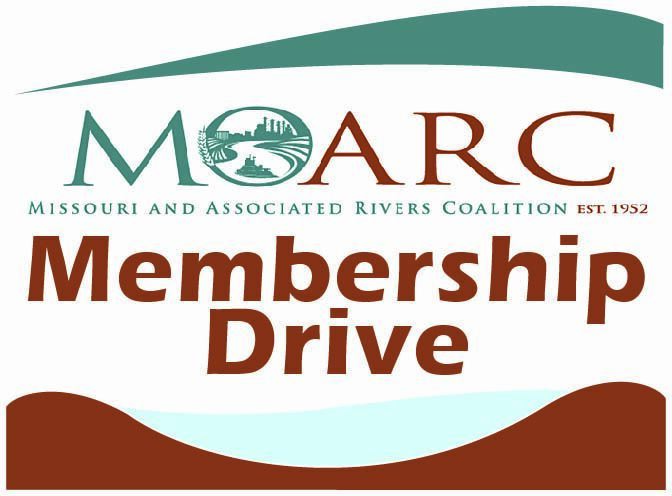 Membership forms can be found at www.moarc.org. For questions regarding membership, you can contact Dave Combs, MOARC Executive Director at info@moarc.org or at 816-686-1289. Save the Date! The annual Missouri River Navigator’s Meeting will be held February 12 and 13, 2019 at the National Weather Service Training Center located at 7220 NW 101st Terrace, Kansas City, MO. The annual meeting hosted by the Corps of Engineers provides a venue of federal agencies and the navigation and Port industries to address issues and opportunities for navigation and shipping on the Missouri River. As in the past, the meeting will consist of presentations and discussions on river and navigation conditions over the past year as well as projections of weather and river conditions for the upcoming navigation season. The Corps’ Water Management Division and the National Weather Service will present the expected conditions that will support the 2019 navigation season and Corps’ navigation support. Navigators and Port industries will report on the 2018navigation year and shipping and transport projections for the 2019. The Corps and US Coast Guard will also report on work that was conducted in 2018 and expected navigation operations and maintenance activities in the coming year. MOARC encourages members to attend the Navigator’s Meeting and become more informed on Missouri River operations. Understanding possible implications for your business or industry helps to reduce risk and informs advocacy, either yours individually or through MOARC. Missouri River Management Plan Record of Decision Signed. In a US Army Corps of Engineers (Corps) news release Tuesday 20 November, the Corps announced that the Northwestern Division Commander Brig. Gen. D. Peter Helmlinger signed a ‘Record of Decision’ for the Missouri River Recovery Management Plan and Environmental Impact Statement. The Record of Decision (ROD) completing the development of the Management Plan and Environmental Impact Statement has been anticipated since the release of the final Environmental Impact Statement in August 2018. The plan outlines future recovery program activities along the river for the three endangered species (Interior least tern, Piping plover, and Pallid sturgeon) that will allow the Corps to continuing to operate its Missouri River projects for all their authorized purposes while complying with the Endangered Species Act and other federal laws. The selected alternative of the Management Plan and Environmental Impact Statement (MRRPMP-EIS) is to provide for a structured, scientific process to monitor, evaluate, and adjust actions through Adaptive Management, which includes collaborative engagement with the MRRIC. MOARC supported the selected alternative as the alternative with the least impact to the continued operation of the river; however, continues to raise concerns regarding potential impacts to authorized purposes within the lower Missouri basin, the one-time high flow release of waters as a spawning cue test, and public involvement in the Adaptive Management decision-making. The Corps developed the Missouri River Recovery Management Plan and Environmental Impact Statement in cooperation with the U.S. Fish and Wildlife Service, and with unprecedented engagement with the Missouri River Recovery Implementation Committee (MRRIC), which includes members representing basin Tribal governments, states and stakeholders. MOARC members continue to participate in the MRRIC process, monitor the implementation of the Adaptive Management, and will continue to provide updates to membership through WATERdrops. Once again Advocacy Works! The US Army Corps of Engineers (Corps) released the 2019 Civil Works Work Plan on Wednesday 21 2018. The Work Plan included two projects for the region that MOARC has advocated during both the Spring and Fall 2018 Congressional visits. The Work Plan identifies the Kansas River Reservoirs Flood and Sediment Management Study as one of the six new start studies across the nation and Manhattan Levees construction as one of the new start construction projects. The Kansas River Reservoirs and Sediment Management Study was formerly referred to as the Kansas River Basin Study will be initially funded at $1,500,000 as a multi-purpose study to investigate additional flood risk management opportunities, sediment control and management in the Kansas reservoirs, water supply sustainability, and potential ecosystem restoration within the Kansas River basin. The watershed-based study has long been a priority of the State of Kansas and water supply entities within the basin. MOARC has been a strong advocate of the watershed study and made it a priority over 2017 and 2018 as we have worked hard with the Corps, OMB and the Congressional offices for this project and new start water resource projects across the nation. The naming and funding of the new start is a significant accomplishment for the region and we are looking forward to the kickoff of the study. The naming of Manhattan Levees as one of the construction new starts is funded at $18,494,000 which constitutes funding to complete construction of the levee improvements. The 1993 flooding event in the Kansas River along with the releases to the Big Blue River from Tuttle Creek Reservoir threatened downtown Manhattan, Kansas. The design and construction of the project incorporates a levee embankment rise across the 28,850 feet of levee along with utility and structure modifications. Completion of the project will provide a reduced risk of flooding to 1,700 homes and 600 businesses valued at over $1.1M. With full construction funding for Manhattan Levees along with recent successes in completion or funding to completion of Topeka Levees, St. Joseph Levees, Turkey Creek Basin, Swope Park Industrial Area, Blue River/Dodson Industrial District and the recent funding of Kansas Citys Levees under the Supplemental budget bill, integrated flood control across the region is more of a reality in the foreseeable future. MOARC will continue to push for funding to initiate design of the Upper Turkey Creek Basin Flood Control Project in the 2020 budget and Work Plan along proposed future projects on the lower Missouri River and Little Blue River as well as with flood control, sediment management, and water supply needs in future budgets as the new “Kansas River Reservoirs Flood and Sediment Management Study” identifies needs for the Kansas River and lower Missouri River basins. We have added BG Peter Helmlinger as an additional speaker! MOARC is hosting its annual membership meeting and social on Thursday December 11, 2018. The annual membership meeting provides the opportunity for members to discuss the activities and successes of MOARC over the previous year, the proposed areas and activities of advocacy planned for 2019 and participate in the selection of officers and Board members of the organization. “Making it Happen: Then and Now!” is the theme of the meeting as MOARC looks at accomplishments over its 65 years of advocacy. Keynote Speakers at the meeting will be Mr. Dru Buntin, Deputy Director of the Missouri Department of Natural Resources (MDNR) and Brigadier General Peter Helmlinger, Commander of the Northwestern Division of the US Army Corps of Engineers. 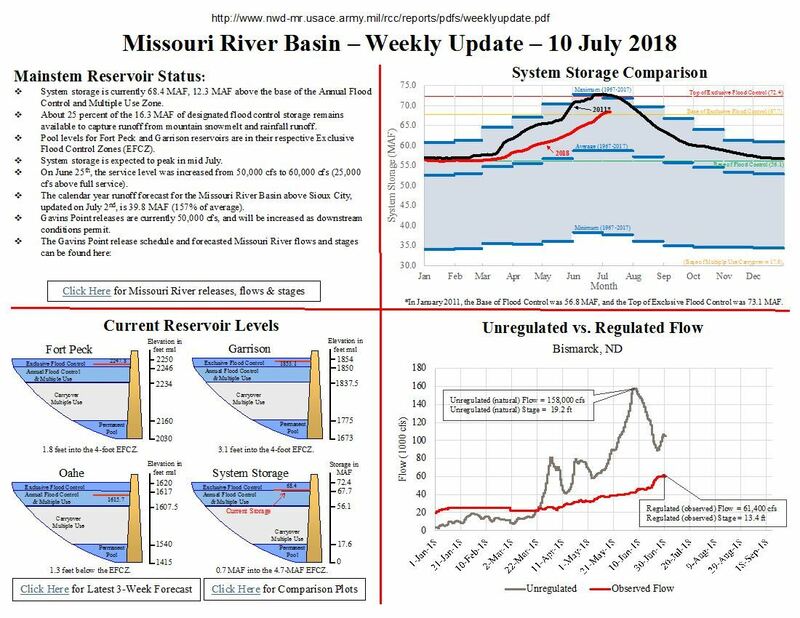 Mr. Buntin has been asked to present information on water and water related issues and needs of the State of Missouri and the Missouri River basin facing the State of Missouri today and over the next decade. Water related activities and issues drive the economic and social development across our region. Dru will address those issues and the interests of the MDNR as they affect the activities and needs of the State and specifically within the lower Missouri River basin. BG Helmlinger, as the new Commander of the Northwestern Division, has been asked to discuss the opportunities and challenges he sees in the Kansas and Missouri River basins as he takes command. With development and implementation of 2019 Corps Work Plan laying out funding for water resource projects in 2019 and the Corps taking on many new projects across the nation stretching resources, as well as, expected changes in Water Supply rules, final regulations driving Section 408 reviews of alterations to public works projects, and the expected implementation of the Missouri River Management Plan; the Northwestern Commander has a lot on his plate. Please join MOARC for the business meeting, keynote speaker, and opportunity to network with others over food and drink while viewing the beauty of the Plaza lights. Please Save the Date on your calendar, bring others who would be interested in MOARC advocacy, and please RSVP to Ms. Glenda Johnson, Communications Chair, at glenda.johnson@kcmo.org or (816) 513-2635. MOARC continues to monitor flow releases from the upper basin mainstem reservoir system to the lower basin and its effect on the interests and economy of the region and MOARC membership. The Corps of Engineers (Corps) water management offices are reporting waters currently stored in the upstream reservoirs are at levels reaching into the flood exclusion zone. Due to the higher-than-average upstream runoff forecast in the upper basin the Corps has increased the system’s flows to 25,000 cfs above full service levels to facilitate the continued evacuation of stored flood waters. Storage issues and releases continue to be driven by the melting of the above average mountain snowpack and moderate heavy plains snowpack along with periodic rainfall events across the basin. The increased service level means that Gavins Point releases will be increased to approximately 60,000 cfs, as downstream tributary flows recede. Gavins Point releases to the lower basin will remain near 60,000 cfs for the remainder of the navigation season to ensure evacuation of all stored flood waters. Storage within the mainstem reservoir system (storage was 67.8 MAF as of July 1, occupying 11.7 MAF of the 16.3 MAF flood control zone. The Corps reports that approximately 25 percent of the system’s flood storage remains available to capture additional runoff and provides the system flexibility to lessen downstream flooding.